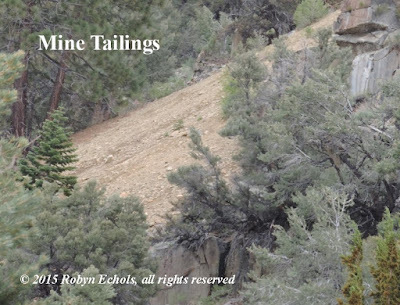 Last month I shared some mining terms—some dealing specifically with silver mining, some for precious metals mining in general. 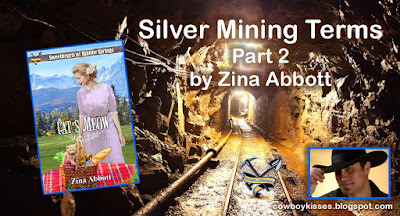 I did to to introduced you to my novellas that are part of the new Sweethearts of Jubilee Springs series. Jubilee Springs is a hypothetical silver mining town set high in the mountains of Colorado. You may reach that post by CLICKING HERE. Mill Run - A test of quality of ore after reduction. Ore - Any natural combination of minerals. Especially one from which a metal or metals can be profitably extracted. Commonly a mixture of one or more of the following: quartz, gold, copper, silver, sulfur, iron, and nickel. Outcrop - That portion of a vein appearing at the surface. Patch - A small placer claim. Petering or Peter Out - The ore giving out. Pocket - A cavity filled with ore, or a rich deposit of precious metal. Quartz - Metal encased in rock. Reducing - Separating from foreign substances; the reduction of ores consists in extracting from them the metals they contain. Shaft - A vertical or inclined excavation for purpose of prospecting or working mines. 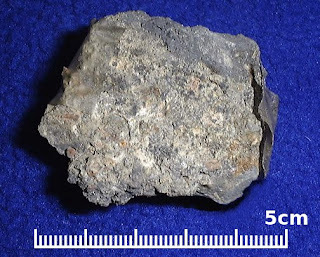 Slag - The waste left as a residue by the smelting of metallic ore.
Soft Carbonate - Silver-bearing mineral so soft that it can be readily taken out with a pick and shovel. It is usually sand impregnated with mineral, the mineral having been carbonated or oxidized. Sourdough - A highly experienced miner who has prospected for many years. 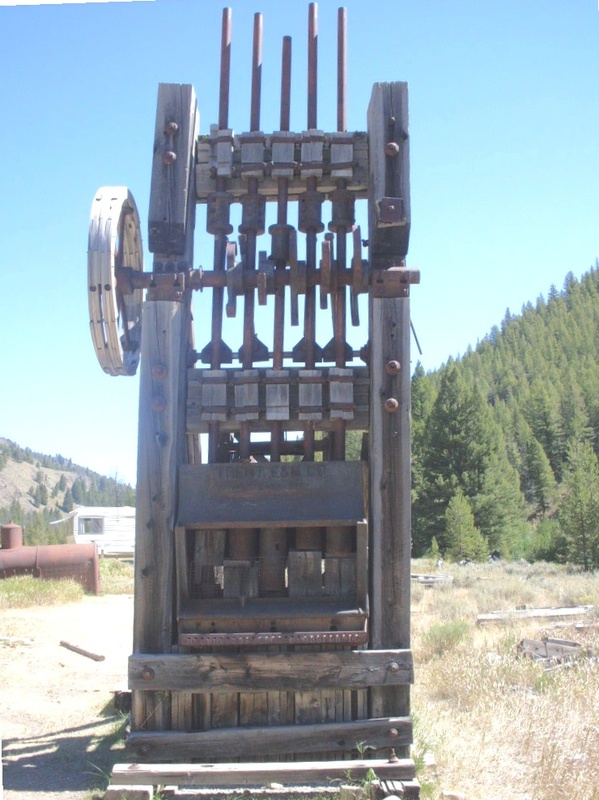 Square Set - A set of timbers used for support in underground mining. 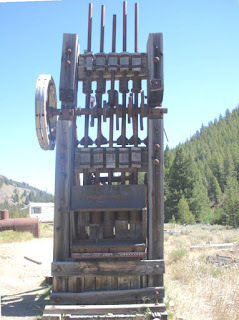 Stamp or Stamp Mill - Machines for crushing ores. Strike - A find; a valuable mineral development made in an unexpected manner. Stull - Platforms of timbers between levels for strengthening the mine by supporting the walls, and for storing ore and depositing wall rock and waste material. 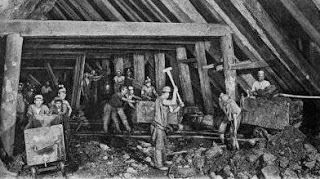 Stull Timbers - The large timbers placed across the vein or lode from one wall to another, to support the lagging upon which the ore or waste is placed. 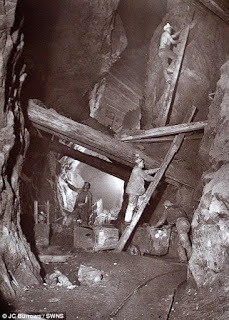 Sump or Sumph - A pit sunk at the bottom of a mine to collect the water. It can be the bottom of a shaft. Tailings - Gravel, dirt, and rocks that is left behind after extracting the minerals. 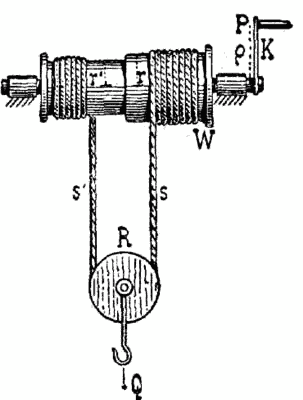 Whim - A winding machine used for hoisting ore out of a shaft. Windlass - A device, smaller than a whim, used to raise ore from a shaft. Winze or Wizen - A shaft sunk from one level to the other. Catherine “Cat” Everett has lost everything. She finds and adopts an abandoned, half-grown kitten. Unbeknownst to Harold Calloway, the man she has been writing to in Jubilee Springs with the intent of marriage, and enduring the disapproval of the railroads who do not allow pets to travel in the passenger areas, she decides to bring the kitten with her. When she arrives in Jubilee Springs, Catherine immediately falls in love with tall, lanky miner, Harold. She wants to marry him, but there is one “meowly” little problem. 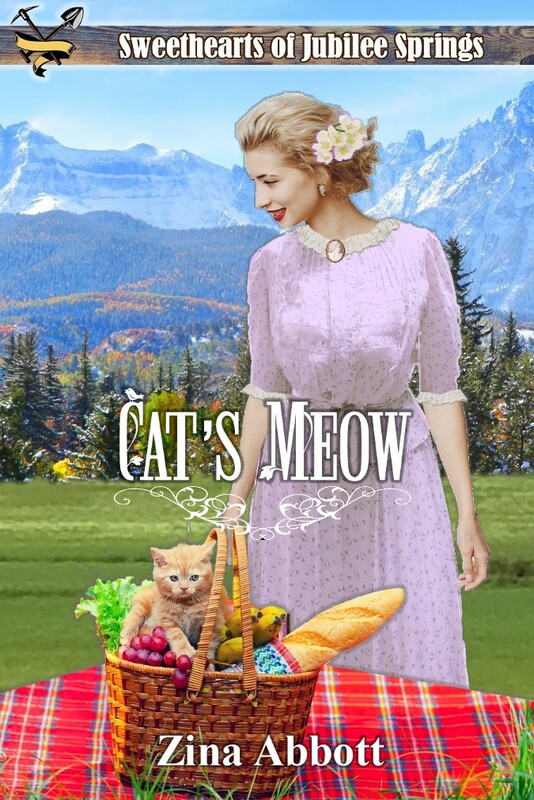 You may purchase Cat’s Meow from Amazon by CLICKING HERE. Saddles, the cowboys tool of his trade. Today, we are going to be talking about the cowboy’s tools of the trade. We know they needed the hat and the horse, but to stay on the horse, the cowboy developed several styles of saddles. As ranch work shifted into specialties, cowpokes needed different saddles for different jobs. 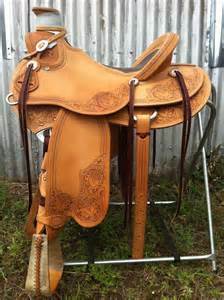 Ranch saddle was a true working saddle. 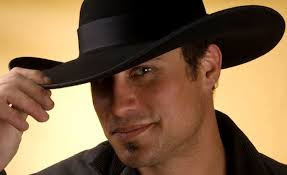 It was sometimes called a cowboy buckaroo, old timer, and an all around. It had a heavy weight to it. It was sturdy to allow the rider to work cattle and long hours in the saddle without tiring out his backsides. A ranch saddle would have a tall thick horn, a deep seat, and a high cantle. Strings would allow the rider to carry gear such as his rope, canteen, and a bed roll. A Trail or Pleasure saddle found comfort as its main goal. No heavy work could be done, it was for riding along trails, trips to town, or maybe to see his girl. There was no need for a thick horn to hold on to. The seat is padded for extra comfort. There may be double cinches, a breast plate for show. 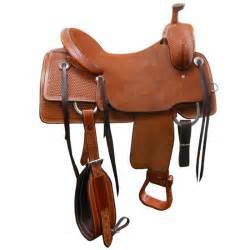 Today the pleasure saddle is the most widely purchased saddle in the United States. I had the distinct pleasure of riding on a Circle Y saddle the years I showed as a western rider in Virginia Beach. They are very comfortable. Roping Saddles were designed for heavy use. It gave the rider freedom of movement and could with stand the punishment of working with cattle. The construction was a bit different than most saddles. Riders preferred this saddle to be made with a wooden tree and constructed with bull hide. The horn in front would be thick so they could loop or dally the rope around. Cows stop and start quickly. To keep the saddle on the horse two cinches were used, one under the front legs and another near the rear. Wide deep stirrups were hung forward to allow the rider to position himself against the low cantle and brace against the cows movements. 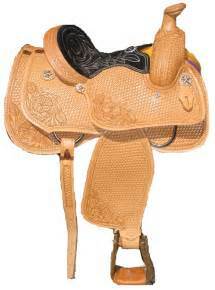 Notice the difference in this saddle and the others. There are no flaps of fenders hanging beneath the saddle. This keeps the rope from getting hung in the leather. A Cutting saddle is used to separate a cow, a steer, or a calf from the general herd. It is designed for balance. The front and back needs to be out of the way of the rider in case of sharp turns, stops and starts. The saddle is not as secure as the others mentioned above. It is up to the rider to use his or her balance to keep astride of the fast working animal. 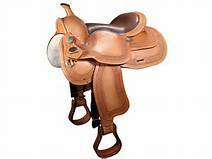 This has the fenders below the saddle but they are not as large as the trail or ranch saddle. No leathers either to tie equipment on. Even the stirrups are small and thin. Next month we will look at reining, barrel racing, endurance, show, and parade saddles. Until next time, happy trails.